Connect to your home anytime,anywhere in your smartphone. captured by this camera will be available to you in video form. No human movement can slip through without your notice. Receive instant app push notifications, email alerts and motion recording, when motion events are detected. Supports iOS and Android mobile phone, tablet, iPad. and windows computer (Do not support iMac system), multiple cameras can be managed in one app. Support ONVIF Protocol, can work with third party nvr via onvif protocol. 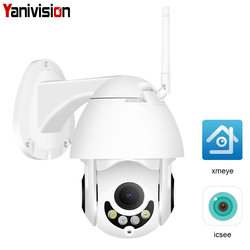 Whenever it is or wherever you are, as long as you can connect the internet, you can watch the real time image of your home, no body can access your camera unless you share to anybody else. 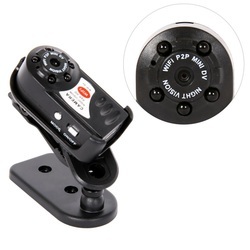 Supports 2.4 Ghz WiFi and LAN network connection,no matter where you are, you can remotely access the camera to see live streaming and stay connected. Remotely view the camera via App on your IOS and Android mobile devices. 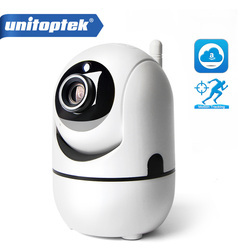 2.0MP High Definition image,Clear and fine images.Max Image size 1920*1080. 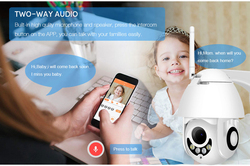 Can record the sound around the camera,Most Other Camera Not Support Audio Record.Clear listening effect, Save voice evidence, True sound reproduction, Clear detail recording, Help you record important sound evidence. The camera detects the moving person.Send a mobile phone alarm message. 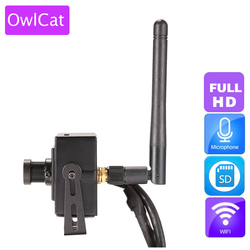 Can rotate 320 degrees horizontally and rotate 75 degrees vertically.The mobile phone can control the rotation angle of the gimbal and see the direction you want to see. Filter noise, clearer sound, real-time two-way speech,Easy to deal with various problems.Drive away the bad guys. 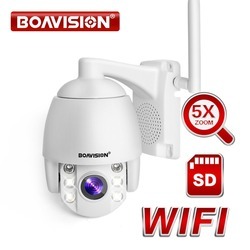 Only need to connect to the wireless WIFI network,No plug-in network cable, Signal stability. 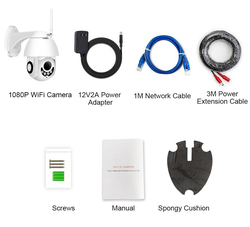 Support mobile phone iOS, Android system,Remote monitoring of mobile phones,You can view and monitor at any time. 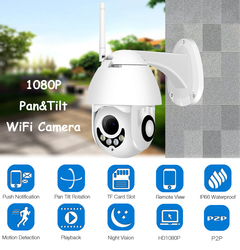 IP66 waterproof.Professional waterproof design,Outdoor waterproof, Good sealing,No need to worry about rain. Snapshot function.Snapshot function.Upload pictures from your phone. The Farthest IR Distance is up to 30M. IR cut filter with auto switch. TF card slot,Maximum support 128g. Defult is not include TF card. 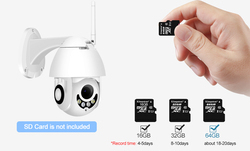 Advanced H.265/H.264 video compression,Super low rate,high definition quality of image. This is not the Zoom Camera, it is 3.6mm lens. Brightness, contrast, saturation, chromaticity adjustment, 3.6mm lens. Internet Explorer6.0,7.0,8.0,9.0,10, Firefox, Google, Safari, etc. 1. Download and install "xmeye " or "icsee" app in app store or Google Play. Shipment from China might come with additional Custom Fees, Taxes & Remote Area Fees, Please Check with your country’s customs office to determine what these additional costs will be prior to buying, Buyer are responsible for Custom Fees, Taxes & Remote Area Fees. Please confirm your address carefully when you make the order. especially check your post code and city is correct information , otherwise your parcel won’t be ship out. by Fedex /DHL/TNT/EMS, you’ll need pay extra $30 remote shipping fee.Or please give us a new another address that is not remote. 1. Please check the package and the items carefully when receiving. 2. If any problems, please contact us. communication is much more efficiently than opening a dispute. 3. We will refund you if you return the items within 15 days of your receipt of the items for any reason. 1. We offer the 1 month free replacement. Buyers may request for a replacement within 15 days from your receipt of the product. The buyer should return the product in the original conditions to us and should bear the shipping costs for return. Customer satisfaction is very important for us. If you are satisfied with the items you ordered, please leave 5 stars feedback. If you are not satisfied with our products or service, please let us know and give us the opportunity to make things right. thank you. Push notifications to app. Email alerts with photo.